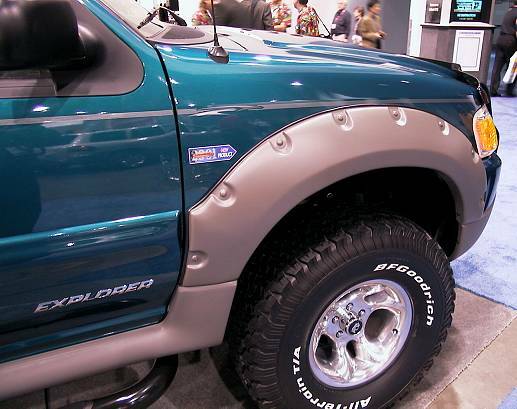 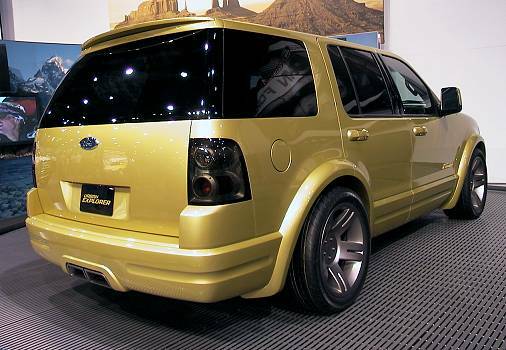 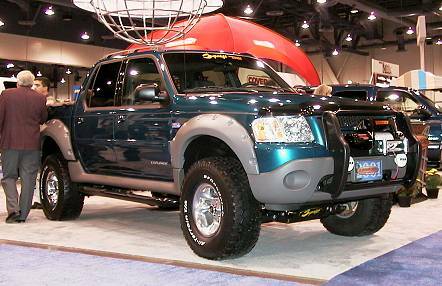 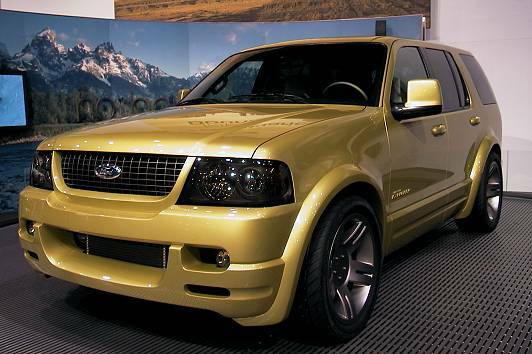 This is one fine Sport Trac, complete with beadlock wheels and pre-runner bumpers. 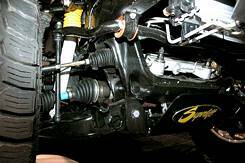 Superlift's suspension system for the late model Explorer. 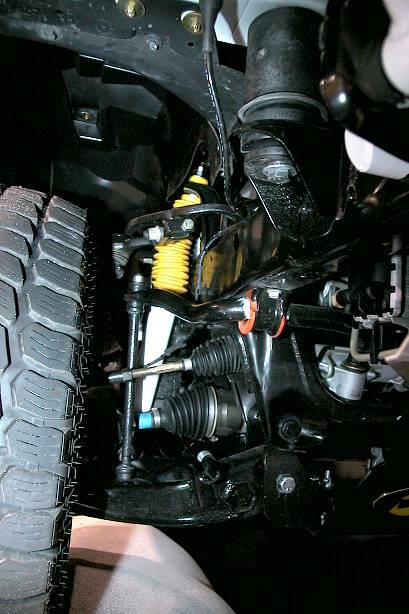 Suspension: Front - Superlift lift spindles and shocks. Rear - spring pack, bushings and shocks. 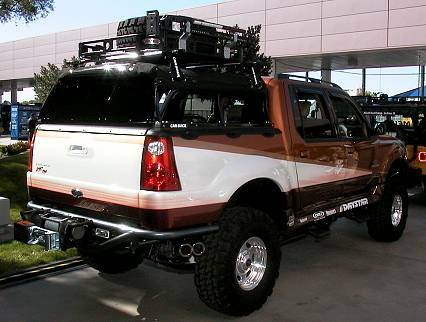 I really like the styling of this Explorer. 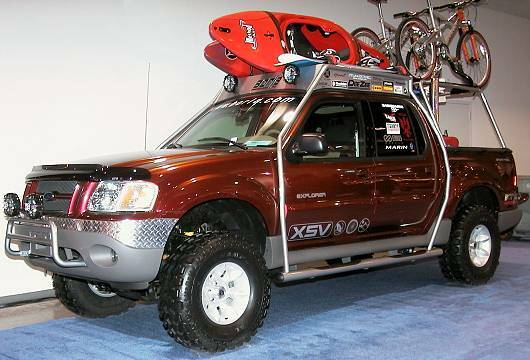 Hopefully Ford will come out with a truck that's very similar to this or the aftermarket will provide us with the accessories needed to bring a stock Explorer up to this level of appearance and functionality. 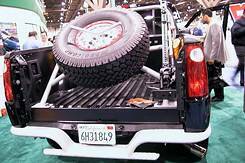 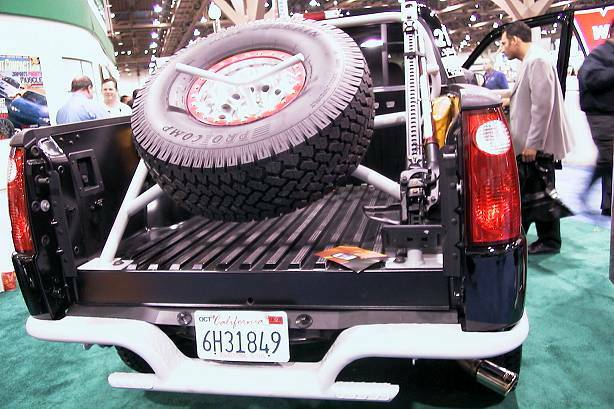 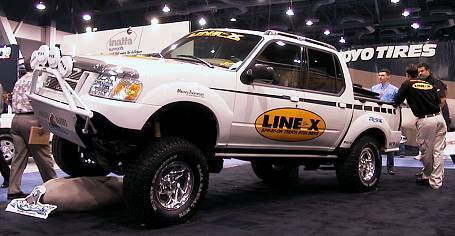 The Line-X Explorer features a Line-X coated bed and a Superlift Suspension System. 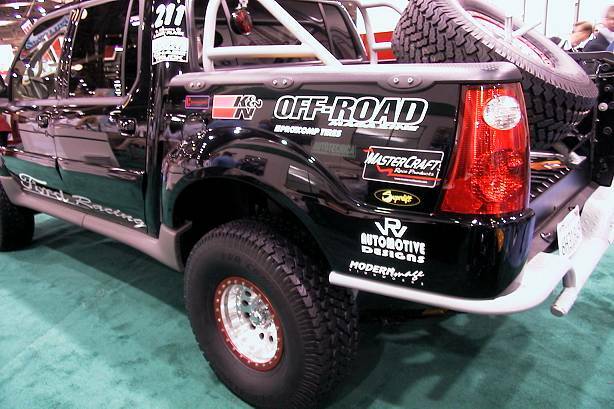 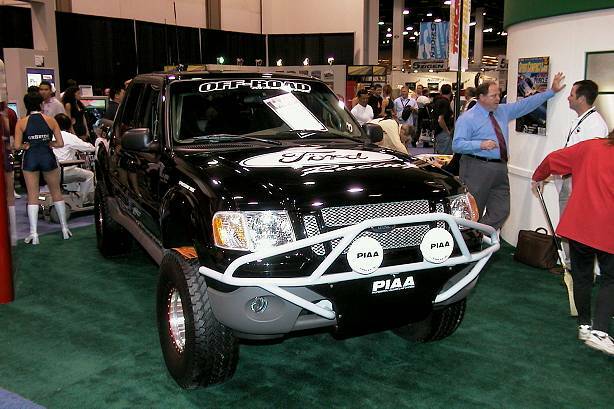 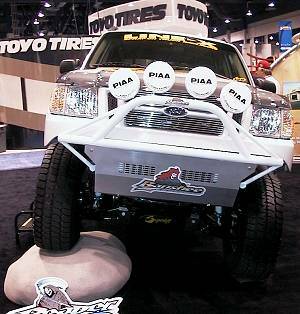 This truck won "Best of Show"
Could it have been the PIAA lights that swayed the judges?? 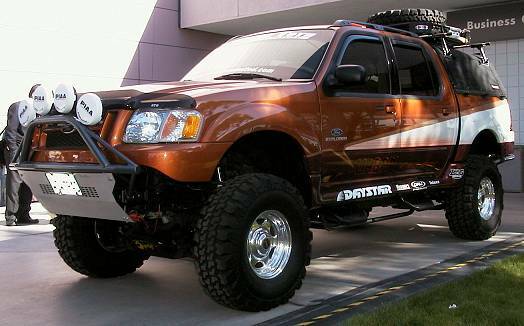 The Superlift suspension definitely helps. 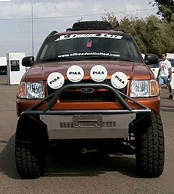 Here is the long awaited "3rd Generation" ARB Airlocker. 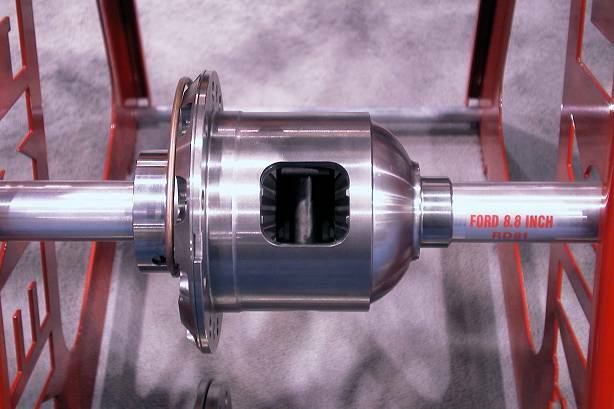 New features include: one piece case design, a new engagement mechanism which will not allow the unit to lock until pinion gears are fully meshed with the side gears, special bearing and seals are pre-installed at factory making installation easier and more foolproof than ever before. Warn Full Floating Rear Axle Kit for the 8.8"